We’re going from baby the other day, to wedding today! 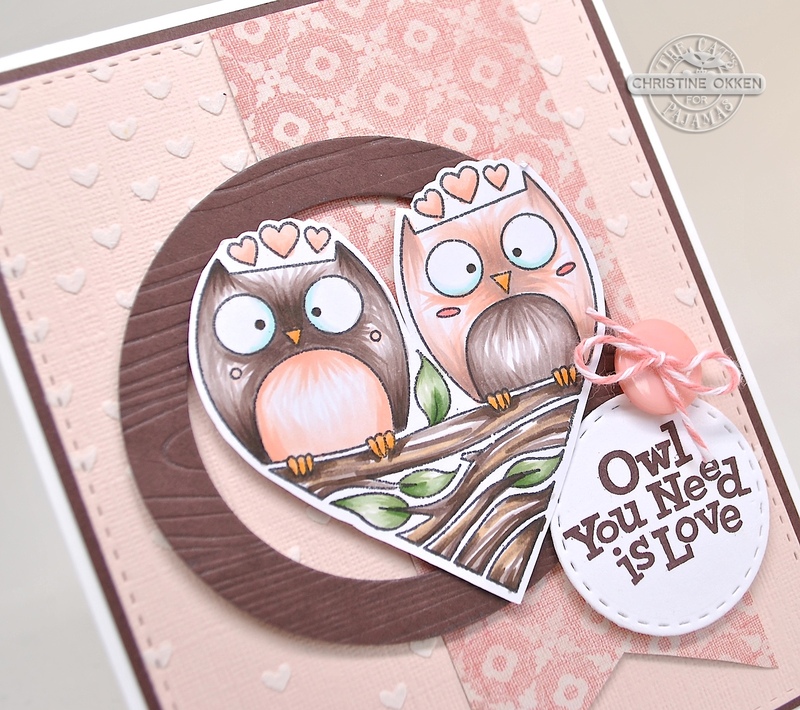 I’ve pulled out the very sweet Owl You Need is Love from The Cat’s Pajamas set for a cute lovey-themed design. I started with some embossing paste and a tiny heart stencil on the peach textured cardstock, then it’s just simple pieces like the designer paper pennant banner, an open circle made from TCP’s Framed Up 2 die, which I ran through a woodgrain embossing folder. It gives it the look of a knothole in a tree that they’re peeking out from. I used a lot of flicking strokes to give their feathers texture and movement and then added a bit of twine on a button and the sentiment. They’re a pretty cute pair aren’t they? 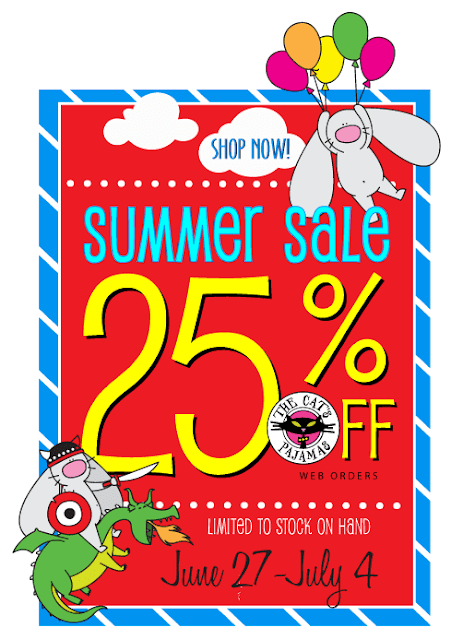 Have you heard about The Cat’s Pajamas Summer Sale? 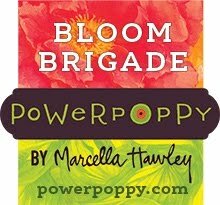 It’s on now, and it’s a great time to stock up! LOVE THIS CARD!!! Adorowlable...lol. like the texture look of yr flicking the copics too. Adorable card. Love the colors and the woodgrain "knothole". 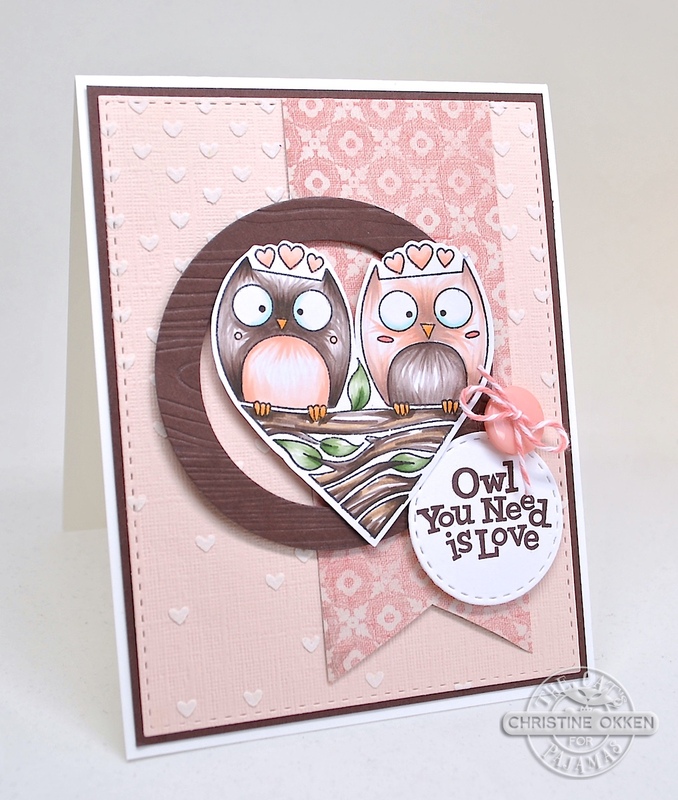 Christine, this card is so sweet. I love the owls set into a heart. It's just delightful. Your color combination is perfect. Thanks for sharing. Beautiful Christine. A really sweet wedding card.